March 4, 2019, Austin, TX. 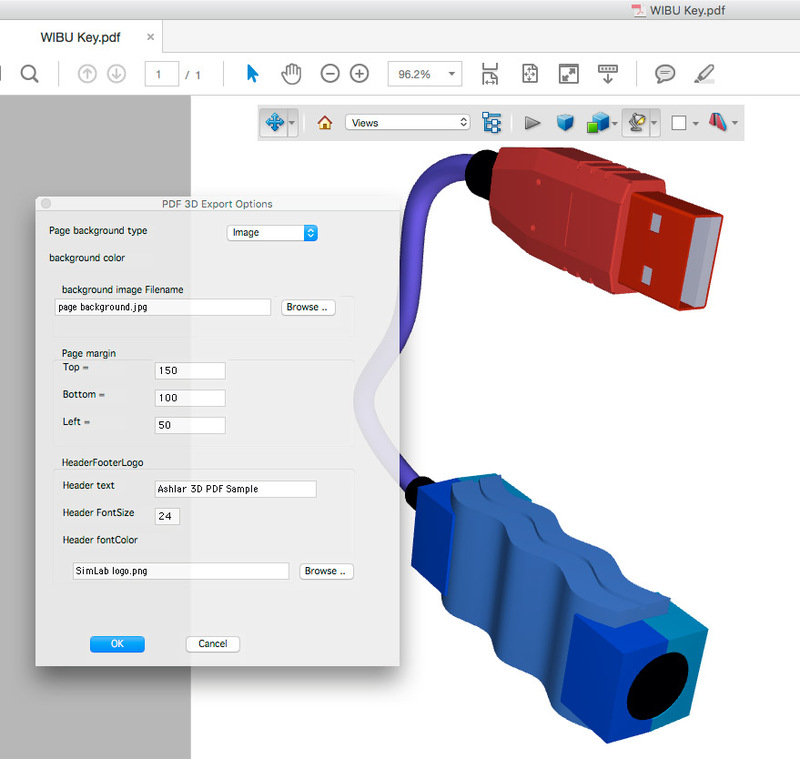 Ashlar-Vellum announces the release of Graphite version 12, their 2D/3D wireframe CAD software on Mac and Windows. “The speed of Graphite v12 is blazing compared to our three most recent versions, especially on the Mac. Users should test it for themselves, on their own systems, for it to be really believed,” said Robert Bou, President of Ashlar-Vellum. Download the Graphite v12 released software here..
Those who would like to see for themselves can download the program and run it in demo mode (no saving) or contact Ashlar-Vellum for a two-week trial code for to evaluate the software. Those who pre-purchased the upgrade can download the Graphite v12 final release here then use the new serial number and registration code emailed to them upon purchase to run the software. September 24, 2018, Austin, TX. Ashlar-Vellum announces the development and upcoming release of Graphite version 12, their 3D wireframe CAD software on Mac and Windows. Final release is anticipated after the first of the year. With a manufacturer’s suggest retail price for US $145 for the upgrade from Graphite v11 to v12, Ashlar-Vellum is offering pre-release discounts. Upgrades from Graphite v8, v9 and v10 are also available. See our website for details. Those purchasing during pre-release are eligible for both v11 and v12. September 24, 2018, Austin, TX. Ashlar-Vellum announces the development and upcoming release of Cobalt, Xenon and Argon version 12, their 3D solid and surface modeling products on Mac and Windows. Final release is anticipated after the first of the year. With a manufacturer’s suggest retail price for US $145 for the upgrade from v10 to v11, Ashlar-Vellum is offering pre-release discounts. Upgrades from Cobalt, Xenon or Argon v8 and v9 are also available. See our website for details. Those purchasing during pre-release are eligible for both v10 and v11. Robert Bou, Ashlar-Vellum’s president, commented, “Greater speed, especially on large models and drawings, and a smoother workflow mean that those who really need to get their work done will be thrilled with this upgrade and find it well worth the investment to upgrade.”. April 12, 2018, Austin, TX. Ashlar-Vellum announces the development and upcoming release of Cobalt, Xenon and Argon version 10, their 3D solid and surface modeling products on Mac and Windows. “We look forward to many more years of helping others change the world as they communicate their innovations, ideas and dreams using our software,” said Robert Bou, president of Ashlar-Vellum. Those who pre-purchased the upgrade can download Cobalt, Xenon & Argon v10 here then use the new serial number and registration codes emailed to them upon purchase to run the software. Those who have not yet purchased can download the software and run it in demo mode (no saving) or contact Ashlar-Vellum for a trial code for a two-week trail code to evaluate the software. April 12, 2018, Austin, TX. Ashlar-Vellum announces the release of Graphite version 11, their 3D wireframe CAD software on Mac and Windows. “We are proud that our software helps others change the world as they design innovative new products,” commented Robert Bou, president of Ashlar-Vellum. Those who pre-purchased the upgrade can download the Graphite v11 final release here then use the new serial number and registration codes emailed to them upon purchase to run the software. September 29, 2017, Austin, TX. Ashlar-Vellum announces the development and upcoming release of Cobalt, Xenon and Argon version 10, their 3D solid and surface modeling products on Mac and Windows. Final release is schedule for mid-November. With an anticipated manufacturer’s suggest retail price for US $145 for the upgrade from v9 to v10, Ashlar-Vellum is offering pre-release sales at $125 from now until release. Upgrades from Cobalt , Xenon or Argon v9 are also available. See their website for details. Those purchasing at pre-release are eligible for the beta program, which is particularly useful for those needing to run the software on Mac High Sierra immediately. September 28, 2017, Austin, TX. Ashlar-Vellum announces the development and upcoming release of Graphite version 11, their 3D wireframe CAD software on Mac and Windows. Final release is schedule for mid-November. With an anticipated manufacturer’s suggest retail price for US $145 for the upgrade from Graphite v10 to v11, Ashlar-Vellum is offering pre-release sales at $125 from now until release. Upgrades from Graphite v8 and v9 are also available. See their website for details. Those purchasing at pre-release are eligible for the beta program, which is particularly useful for those needing to run Graphite on Mac High Sierra immediately. March 28, 2016, Austin, TX. Ashlar-Vellum announces the full release of Cobalt, Xenon and Argon version 9, their trio of 3D solid and surface modeling products on Mac and Windows. Surface created from two contours. Conic surface from sections and guides. Smart walls, door and windows. February 2, 2016, Austin, TX. Ashlar-Vellum announces the release of Graphite v10, the latest release of their intuitive 2D/3D CAD wireframe drafting package for both Mac and Windows. This new version will feature support for the latest operating systems including Mac OS X 10.10 (Yosemite), 10.11 (El Capitan), and Windows 8.1 and 10. Other important enhancements have been added to the software’s 2D PDF import and export. Additionally, a font report has ben added to specify missing fonts and offer substitute font designations. The Draw Control order in v10 can now be controlled either from the Layers dialog box of the Arrange menu. Tool palettes and dialog box positions are now remembered independently for every screen size used, including single and dual screen configurations. DXF/DWG import supports up to AutoCAD 2016 and the handling of raster images has been improved. November 30, 2015, Austin, TX. Ashlar-Vellum announces the upcoming release of Graphite v10, the latest release of their 2D/3D CAD wireframe drafting package. Upgrade pricing is available from previous versions of Graphite v9, v8 and v7. October 19, 2015, Austin, TX. Ashlar-Vellum announced the development and upcoming release of Cobalt, Xenon and Argon version 9, their trio of 3D solid and surface modeling products on Mac and Windows. Full release is anticipated early next year. November 25, 2014, Austin, TX. AlphaCorr announced today the second release of Folding Genius for Adobe Illustrator. 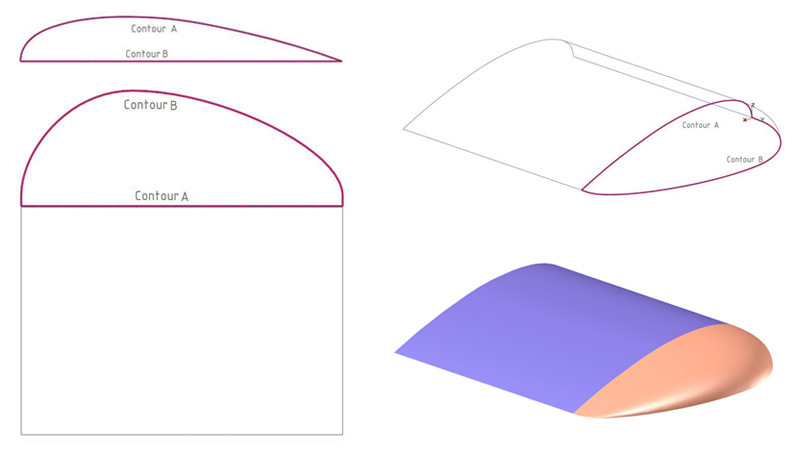 Folding Genius is intended for AI users who need folded 3D visualization of their existing dieline design files for corrugated packaging and point-of-purchase displays. Supporting Adobe Illustrator versions CS6, CC and CC2014 on both Mac and Windows, the Folding Genius plug-in works from within Illustrator to animate and render folded cartons, boxes and displays with their graphics, then exports to 3D PDF. Folding Genius for AI is available as a subscription service for $195/year or $79.95/ quarter or $29.95/month. For more information contact AlphaCorr at +1 800 862-0795 or visit the website at www.alphacorr.com. Based in Austin, TX, AlphaCorr, LLC is the world’s leading developer of structural packaging and point-of-purchase display software for both Mac and Windows. Founded in 2007, AlphaCorr uses the powerful, yet easy-to-use user-interface paradigms originally developed for Ashlar-Vellum Graphite™. AlphaCorr continues to enable the creative design and production of precise, sophisticated packaging and displays around the world. November 11, 2014 Austin, TX. AlphaCorr introduces the pay-as-you-go online design center for customized packaging and point-of-purchase displays. Use it as often or as infrequently as needed without the investment in an expensive design package. Dieline Genius 2D Online allows easy customization of packaging displays from the library of over 500 resizable designs. Even those with little or no box design experience can quickly create corrugated and folding carton material structures. Simply log in to Dieline Genius Online and select a design. Modify the parameters, such as length, width, depth and material thickness. Then using PayPal or a credit card export that design directly to the cutting table. Now any salesperson, graphic artist, machine operator or draftsperson can select a design, set the parameters, and have the box cut on the sample table in just minutes. No need to interrupt the workflow of busy structural packaging designers just for a sample. Prices start as low as US $1.50 per custom sized design. August 12, 2014, Austin, TX. AlphaCorr introduces Dieline Genius 3D for Adobe Illustrator on Mac and Windows. Compatible with Adobe Illustrator CS4, CS5, CS6, CC and CC 2014, Dieline Genius allows easy customization of packaging and point-of-purchase displays from a library of over 500 resizable designs. Even those without previous box design experience can quickly create corrugated and folding carton material structures. Open the library and select a design. Modify the default parameters, such as length, width, depth and material thickness. Use Adobe Illustrator tools to add graphics as desired. 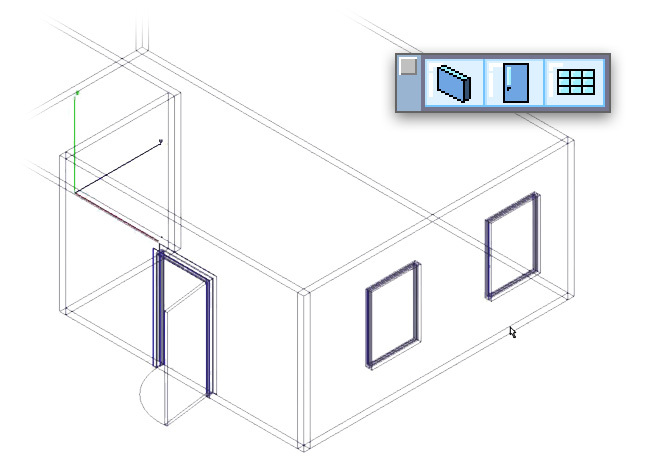 Open the 3D preview window where the folded design can be examined in detail in three dimensions. Save the image or export the 3D model as a 3D PDF. The Dieline Genius library is extensible using AlphaCorr Rules™ and SteelRules™ precision CAD software for packaging, point-of-purchase and steel rule die design. December 18, 2013, Austin, TX. Ashlar-Vellum announces the official release of Graphite version 9, their 2D/3D wireframe drafting program on both Mac and Windows. Graphite v9 precision CAD software has been upgraded with new and enhanced features. The familiar Graphite interface has been updated in version 9 to include optionally larger text and new icons that are easier to read on super-high resolution monitors. Also new to the version are tool tips with click-through hyperlinks to documentation. New functionality in v9 includes the Stretch tool and the Copy along Path tool. The import/export capabilities have also been enhanced to included the latest DXF/DWG support up to 2013, PDF import and enhanced PDF export. With a new Unicode core, Graphite supports multiple foreign languages and alphabets for both the interface and the drawing document. “Graphite is the quickest way to capture, present and produce your ideas. With a self-learning curve averaging about 180 minutes for those with no previous CAD experience, Graphite naturally becomes an easy extension of the designer and the design process,” said Robert Bou, president of Ashlar-Vellum. Graphite v9 is a paid upgrade for those using Graphite v8 or for Cobalt and Xenon v8 users with a companion license to Graphite. Upgrades are available from previous versions from the past 10 years, with prices varying according to the age of the software. December 4, 2013, Austin, TX. Ashlar-Vellum announces the beta release of Graphite version 9, their 2D/3D wireframe drafting program on both Mac and Windows. Graphite v9 precision CAD software includes a number of enhancements and new features. Graphite v9 includes an updated user interface with optionally larger text and new, easy to read icons, tool tips with click-through hyperlinks to documentation. New features include a general function tool palette, a new Stretch tool and Copy Item by Path tool. Enhancements have also been added to import/export functions including adding the latest DXF/DWG support, 2D PDF import and enhanced PDF exports. Now based on a Unicode core, Graphite v9 supports multiple foreign languages and alphabets for both the user interface and drawing document. Review Video Ad by prMac.com. October 10, 2013, Austin, TX. Ashlar-Vellum announces Cobalt v8 Solo and Xenon v8 Solo, two new price points in their Designer Elements product line of 3D solid and surface modeling software. Traditionally bundled with a companion license to Graphite™, Ashlar-Vellum’s precision 2D/3D CAD and wireframe drafting package, Cobalt and Xenon are now available individually without Graphite at lower price points on both Mac and Windows. Class-A NURBS surfaces, ACIS solids and intuitive wireframe modeling in one seamless, non-modal package. The Drafting Assistant™ user interface for intelligent snaps and alignments in X, Y & Z.
On-demand parametrics for design variations and product families. 3D mechanical parts library of 149,000 bearings, bolts, nuts and other parts. June 18, 2013, Austin, TX. Ashlar-Vellum announces the creation of their new Job Board, connecting those looking for skilled design professionals with those looking for design work. “The Job Board is just one way that we continue to build the community of Ashlar-Vellum users around the world, said Robert Bou, president of Ashlar-Vellum. Those posting a job or resume before the end of July 2013 will receive a discount coupon to use on their next upgrade or new purchase. March 7, 2013, Austin, TX. Ashlar-Vellum announces the release of Service Pack 4 for Graphite version 8, their 2D/3D wireframe drafting program. An updated PDF export feature which includes bitmaps. An enhanced PDF export feature which optionally exports visible layers only or current sheet only. An updated Dimension Tool Palette resolving issues with macros and linear dimensions. No temp files in the drawing folder. An updated Save Palettes function that saves the screen position of the navigator palette. A new software installer preventing installation by non-administrators. Streamlined user registration giving customers a choice of online or USB key security. An enhancement that launches multiple .vc6 files within the same instance of Graphite when double clicking on a file icon. Improved flexibility within the Undo system regarding customized system configurations. A bug fix for Windows 7 that corrects the printing of duplicate pages. Code Signatures for both Apple and Microsoft operating systems for streamlined installation. Service Pack 4 is a free update available to all those on Graphite v8, including Cobalt and Xenon v8 users with a courtesy license to Graphite. Upgrades are available from previous versions, with prices varying according to the age of the software. February 5, 2013, Austin, TX. Ashlar-Vellum announces the receipt of the 2012 Global Product Differentiation Excellence Award in Computer-Aided Design & Modeling Software from market research firm Frost & Sullivan. Having been granted the award in October 2012, Frost & Sullivan reserved the right to release the information exclusively to their own subscribers. Ashlar-Vellum has just now received permission to announce the award publicly. October 8, 2012, Austin, TX. Ashlar-Vellum announced that they have been awarded the 2012 Global CAD and Modeling Software Product Differentiation Excellence Award from a prestigiously-named market research and analysis firm. Unfortunately, without the requisite US $40,000 to “license” the award Ashlar-Vellum is not allowed to mention the name of the awarding firm, much less receive any benefit from it including press announcements, quotes, or copies of the report. August 15, 2012, Austin, TX. Ashlar-Vellum announced today a new competitive comparison contrasting their Organic Workflow™ design paradigm with seven of the biggest competitors in the 3D modeling industry. Competitors included in the comparison are Alibre, SpaceClaim, KeyCreator, SolidThinking, Autodesk Inventor, Autodesk Alias and SolidWorks. The analysis will be included next month in the Ashlar-Vellum user newsletter, The Design Explorer, and posted to their website at www.ashlar.com under the Products menu. July 27, 2012, Austin, TX. Ashlar-Vellum announced today support for the Mac OS X 10.8 (Mountain Lion) operating system in their Cobalt™, Xenon™ and Argon™ v8 CAD and 3D Modeling software and Graphite™ 2D/3D CAD software. June 30, 2012, Austin, TX. Ashlar-Vellum announced today that their 2D/3D CAD package, Graphite™ v8, was used by Vince Costa of American Suspension to support Paul Teutul, Jr. pin designing innovative parts for the winning entry of the Discovery Channel’s American Chopper Build-off. Inspired by the P51 Mustang fighter planes, Costa used Graphite software to design a never-before-used single-sided swing-arm front suspension, which attached the wheel on just one side of the motorcycle, leaving the other side open, similar to the plane’s retractable landing gear. January 15, 2012, Austin, TX. Ashlar-Vellum confirms support for Mircosoft Windows 8 coming in their future version 9 of Graphite™ CAD software and Cobalt™, Xenon™ and Argon™ CAD and 3D Modeling programs, anticipated to be released sometime in 2013. November 14, 2011, Austin, TX. Ashlar-Vellum announces Vellum-Nitrogen to be released in Japan in the summer of 2012. Vellum-Nitrogen, the Unicode variant of Ashlar-Vellum’s Graphite 2D/3D CAD program, will be specifically configured and packaged for Japanese distribution. It supports over 100,000 characters from multiple language sets, and will be aimed at the general design market in Japan. The release for the Windows operating system is anticipated in the third quarter, while the version to support the latest Macintosh operating systems is scheduled for Q4. Ashlar-Vellum’s long time partner, Comnet, will handle distribution of the product. “With over 10,000 users of older Ashlar-Vellum technology in Japan, we are looking forward to supporting those awaiting new releases on both the Mac and Windows platforms,” remarked Robert Bou, president of Ashlar-Vellum. August 1, 2011, Austin, TX. Ashlar-Vellum announced today the expansion of their European offices in September into additional offices in Kiev, Ukraine. The new space will be used to provide space for an expanded development. July 1, 2011, Austin, TX. Ashlar-Vellum announced today that their law suit with Concepts Technology in Japan is finally over. For many years, Concepts Technology, and prior to that Famotik, have attempted to usurp Ashlar’s source code and trademarks. In the spring of 2006 Concepts Technology sued Comnet, Ashlar Incorporated’s OEM partner and Ashlar-Vellum’s Japanese distributor, claiming that they owned all the original source code to Vellum® and Graphite™. The court upheld Ashlar Incorporated’s ownership of the Vellum registered trademark in Japan, just as the Patent & Trademark office did. The software of both Ashlar Incorporated and Concepts Technologies has been found to contain source code from the other company. Concepts Technology is ordered to stop selling their software and pay Ashlar Incorporated ¥58,206,284, or approximately US $748,000, in damages for the unauthorized use of our source code and trademarks. Comnet, is ordered to stop selling Box Vellum Graphite and Ashlar-Vellum Graphite, and pay Concepts Technology ¥4,540,000, or about US $50,000, primarily for infringing activities engaged in prior to entering into a relationship with Ashlar Incorporated. There was no judgment against Ashlar Incorporated of any kind. At that time Comnet appealed the decision and posted the appellate bond of ¥4,540,000. Concepts Technology also filed for appeal but never paid the appellate bond. Several hearings were heard by Japan’s special High Technology Court of Appeals, during which time Ashlar’s right to sue, and their ownership of source code and trademarks were upheld and all parties encouraged to settle the dispute out of court. When efforts to settle failed, the courts rendered judgment in late June of this year, upholding the lower court’s ruling in all matters brought before them. The results of that judgment upheld the original development contract signed in the mid ’90s by Ashlar Incorporated and Famotik. The judgement delineated Ashlar Incorporated as the owner of the Vellum 2.7 base code plus “extensions” found in future versions. It specified that Concepts Technology owns the “additions” to this source code, limited to the modules for surfacing, rendering, hidden line removal and interface, including the IGES and BMI translators. These features were part of Vellum 3.0, 4.0, 98, 99, then removed after Ashlar split with Famotik and created Graphite. Unfortunately, some non-functional modules and source code fragments from the deleted features remained in early versions of Graphite. In order to make a clean break, the judgment disallows Ashlar-Vellum’s distributor, Comnet, from selling any product called Graphite in Japan and Concepts Technology from selling anything called Draftboard. Comnet, Ashlar-Vellum and Ashlar Incorporated will be introducing new software into the Japanese market with all fragments of the Famotik additions removed. Moreover, the software will be converted to Unicode supporting over 100,000 characters from multiple language sets. The new software is anticipated to be called Vellum-Nitrogen™. Concepts Technology still owes Ashlar Incorporated the original judgment plus interest. May 12, 2011, Austin, TX. Ashlar-Vellum announced today the testing and support of Ashlar-Vellum 3D modeling files in conjunction with SimLabs 3D PDF and iPad viewing. Any 3D models created in Ashlar-Vellum Cobalt™, Xenon™ or Argon™ programs can be viewed on the Apple iPad when exported to an iPad ZIM file using any of the SimLab Composer programs, priced from US $99 to US $249. Animations of Ashlar-Vellum 3D models can be rendered with materials and added to PDF documents using SimLab Composer Animation Edition ($249). 3D PDF files must be viewed using Adobe Acrobat Reader. “Customers who need to view 3D files on the iPAD or who need to incorporate 3D PDFs into their documents are encouraged to evaluate the SimLab products,” said Robert Bou, president of Ashlar-Vellum. March 24, 2011, Austin, TX. Ashlar-Vellum announced today it will discontinue upgrades for versions of their CAD and 3D Modeling software packages over 10 years old, effective July 1st, 2011. These upgrades apply to Ashlar-Vellum’s oldest versions of Vellum 2D™, Vellum 3D™, Vellum Draft™ and Vellum Solids™, all released between 1989 and 2001. Software over 10 years old will no longer be considered eligible for standard upgrade pricing. Ashlar-Vellum is offering discounts between 10% to 30% to any customers still using the old software until May 31st, 2011 to upgrade to their current versions of Graphite™ v8 2D/3D CAD, and Cobalt™ and Xenon™ v8 CAD and 3D Modeling software. February 28, 2011, Austin, TX. Ashlar-Vellum announces support for Unicode in their Graphite 2D/3D Computer-aided Design program. Unicode will be implemented in Japanese versions of Vellum-Nitrogen v8 and in the future Graphite v9, worldwide. ASCII and ISO 8859 computer text traditionally can only read 256 characters from any one language at a time. This makes it difficult to use multiple languages in a document or to support ideogram languages such as Chinese. By implementing Unicode, a program can support over 100,000 characters from multiple langue sets. January 26, 2011, Austin, TX. Ashlar-Vellum announces the release of Service Pack 3 for Graphite version 8, their software for 2D/3D precision wireframe drafting. Implemented Preference setting for mouse wheel direction. Added support for first pen button on some Windows tablets. Clarified Edit Object dialog box for midpoint line objects. Enhanced Preferences to track arrow settings for Pen menu. Service Pack 3 is a free update available to all those on Graphite v8, including Cobalt and Xenon v8 users with a courtesy license to Graphite. Upgrades are available from previous versions, with prices varying according to the age of the software. May 18, 2010, Austin, TX. Ashlar-Vellum announced today the beta release of their two Alchemy plug-ins for file transformation. With Alchemy:Essential and Alchemy:Adept users can open SolidWorks, Autodesk Inventor and Catia v4 files directly in Ashlar-Vellum Cobalt™, Xenon™ and Argon™ on either Mac or Windows. Using Alchemy:Adept they can also open Catia v5, Pro/E and Siemens NX files. The Alchemy plug-ins import the geometry from an extensive list of 3D modeling packages. They offer some of the most advanced healing technology available saving hours of manual rework. Both accessories require v8 SP3 of Cobalt, Xenon or Argon, now in beta. Upon full release, Alchemy:Essential will sell for US $995 and Alchemy:Adept for US $2,995, but Ashlar-Vellum is offering special beta period pricing of US $595 and US $1995 respectively. Both accessories require v8 SP3 of Cobalt, Xenon or Argon, also in beta. The Alchemy plug-ins are the latest addition to the Ashlar-Vellum Designer Elements™ product line of engineering software on Mac and Windows. For a complete list of import formats or to learn more, visit Ashlar-Vellum website at www.ashlar.com. January 28, 2010, Austin, TX. Ashlar-Vellum announces the release of Service Pack 2 for Graphite version 8, their software for 2D/3D precision wireframe drafting. Service Pack 2 is a free update available to all those on Graphite v8, including Cobalt and Xenon v8 users with a courtesy license to Graphite. Upgrades are available from previous versions, with prices varying according to the age of the software. October 29, 2009, Austin, TX. Ashlar-Vellum announced today the release of Service Pack 2 for Cobalt, Xenon and Argon version 8, their trio of products for precision 3D modeling, drafting and photo-realistic rendering. Service Pack 2 is a free update available to all those on Cobalt, Xenon and Argon v8. Upgrades are available from previous versions, with prices varying according to the age of the software. February 12, 2009, Austin, TX. Ashlar-Vellum introduced today Reach for Your Dream, their new promotion to encourage entrepreneurial spirit among those who have been caught in the current economic downturn. With proof of unemployment, recent graduation, or the recent establishment of a new business, Ashlar-Vellum is offering a 3-month trial license to Cobalt, their flagship 3D modeling program with a courtesy license to Graphite, their unique 2D/3D precision drafting program. After 3 months, with the submission of two drawings or models for the Ashlar-Vellum website Gallery, participants are eligible a 50% discount off the monthly rental price of any program for up to one year. To participate in Ashlar-Vellum’s Reach for Your Dream program, visit their website at www.ashlar.com for details and to get a copy of their special use agreement. December 9, 2008, Austin, TX. Ashlar-Vellum announced today the release of Service Pack 1 for Cobalt, Xenon and Argon version 8, their trio of products for 3D modeling. Optimizations for the Intel Mac with a performance increase of 3X on zoom, pan and selection functions, and 2X for file loading under Leopard. Lightworks support for multicore now on Mac. Materials and colors designated per face. Document thumbnails for Finder and Windows Explorer. Hundreds of user requested enhancements and bug fixes. This free update is available to all those on Cobalt, Xenon and Argon v8. Upgrades are available from previous versions, with prices varying according to the age of the software. October 27, 2008, Austin, TX. Ashlar-Vellum Graphite v8 SP1 was named last week as a Staff Pick by Apple Computer. The 2D/3D wireframe computer-aided drafting software is a Top Download in both the All Downloads and Imaging & 3D categories on the Apple website at www.apple.com/downloads. 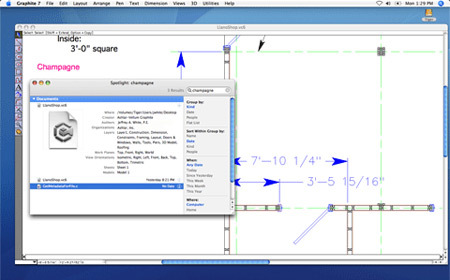 Improved DWG/DXF translation including import of AutoCAD layouts with their views into Graphite sheets. September 15, 2008, Austin, TX. Ashlar-Vellum announced today the release of Service Pack 1 for Graphite version 8, their software for 2D/3D wireframe computer aided drafting. Improved PDF smart-data export including support for more fonts and line weights. Support for AutoCAD DWG/DXF 2008. Improved printing of diagonal lines. This free update is available to all those on Graphite v8 including Ashlar-Vellum Cobalt and Xenon users with courtesy licenses to Graphite v8. September 2, 2008 Austin, TX. Ashlar Incorporated announced this week an agreement with Roofing Contractor Solutions Inc. to license Ashlar-Vellum Graphite Custom software. RCSI will use Graphite Custom as the basis on which to develop a new estimating application to assist the building industry. Both companies are looking forward to a long and prosperous working relationship. July 9, 2008, Austin, TX. Ashlar-Vellum announced this week the release of Cobalt, Xenon and Argon v8 on Mac OS X Leopard. The trio of products for 3D modeling within product design was previously released on the Windows XP and Vista operating systems in January. April 11, 2008, Austin, TX. Ashlar-Vellum introduced this week their new product design philosophy of Organic Workflow at the Congress of the Future of Engineering Software in Scottsdale, AZ. Organic Workflow is what Ashlar-Vellum calls the non-linear creative process that allows designers to create outstanding products through easy design iteration, transparent tools and hands-on control of the production process. An organic workflow is a non-linear or non-serial workflow. It fosters flexibility, spontaneity and free play by the designer as he or she works through ideas and tries new things. Like all great tools, product design software must disappear into the background, becoming an automatic extension of the designer as he or she concentrates on the project at hand. Ashlar-Vellum tools are so transparent they don’t require the designer to think about them. They work the way a designer thinks. They are easy to learn and allow the designer to simply play. Designers require a holistically integrated palette of both engineering and design tools that includes wireframes, solids and surfaces without switching from one mode to another. They want to freely sketch, develop the model, provide photo-realistic renderings, animations and precision engineering drawings, using the same program. Ashlar-Vellum provides a uniquely holistic palette of tools giving designers power that was previously only available to engineers. Because product design is an organic process, different deliverables are required by different people along the way. Our software never demands that X, Y and Z be completed before A, B or C can be shown. Pass any type of 2D or 3D data to any part of your team at any point in the process. Ashlar-Vellum designers create some of the most amazing products in the world. By starting with a designer’s point of view and being allowed to experiment, explore and play, they not only make their designs come alive they make life better. For more information, view the 27-minute movie featuring 15 designers from around the world at http://www.ashlar.com/products/organic-workflow.html. February 8, 2008, Austin, TX. Ashlar-Vellum announced today the release of version 8 on Windows of Cobalt, Xenon and Argon, their hybrid solid, surface and wireframe 3D modeling programs for product design. The Windows release of version 8 precedes the release on Macintosh. Work continues for that platform. April 2, 2007 Austin, TX. Ashlar-Vellum announced today the release of Graphite v8. This much-anticipated release offers some excellent productivity enhancements to the user interface and the functionality of this 2D/3D wireframe drafting program on both Mac and Windows platforms. Graphite v8 includes an updated user interface with new icons, resizable dialog boxes and pull down menus that can be torn off. There is also support for AutoCAD 2007 DWG/DXF, a new pen style palette, and direct, multi-sheet PDF creation with embedded source and export files. Universal Binary support for the Intel Mac and additional interface enhancements are coming in the first service pack, available free to all v8 license owners. October 20, 2005, Austin, TX. Ashlar-Vellum announced today their latest intellectual property victory in the Court of Arnhem, the Netherlands. In the decision, all relevant claims by Ashlar-Vellum against Disaro Benelux, BV, formerly Vellum Benelux, BV, were sustained. The court determined that not only did Disaro infringe upon the trademark rights of Ashlar, Incorporated, but also the copyrights on the software. Disaro has been ordered to pay court costs and damages to be determined in further proceedings. Ashlar-Vellum continues to pursue the intellectual property rights to their trade names, logo and software around the world. September 21, 2005, Austin, TX. Ashlar-Vellum today announced the availability of Service Pack 2 for Graphite v7.6. This free service pack rolls together several minor issues with v7.4 that have previously been hot-fixed, plus the translation of Graphite into Japanese using the ShiftJIS character set. The service pack includes a new, user-friendly download process for Mac OS X. The service pack is free for the download to all current users of Graphite v7.X, including those who have a courtesy license through their Cobalt and Xenon v6 and v7 licenses. A CD-ROM may also be ordered for US $8.25, plus shipping and handling. For those customers under the Ashlar Service Advantage Program (ASAP) maintenance contract for physical materials, the CDs will be mailed free of charge. August 25, 2005, Austin, TX. Ashlar-Vellum announced today the release of version 7 of Cobalt, Xenon and Argon, their hybrid 3D solid and surface modeling software for Macintosh and Windows. In addition to a seriously reworked infrastructure, v7 also includes the updated ACIS 12 modeling kernel and Lightworks 7.4 rendering engine. Improved translators for IGES, STEP, CATIA and Rhino are incorporated, along with improvements to the Design Explorer Feature Tree. Support for 3dconnexion’s motion controllers has also been added for Windows users. June 29, 2005, Austin, TX. Ashlar-Vellum announced today their latest intellectual property victory in Federal Court, Munich, Germany. In the decision, POSH GmbH, formerly Vellum, GmbH, was ordered to pay damages, and to turn over all customer and contact records in order to assess the amount of these damages, for the unlawful use of the Ashlar bricks logo. Ashlar-Vellum has previously settled the Vellum trademark suit against POSH, GmbH, whereby POSH agreed to stop using the name Vellum. Ashlar-Vellum continues to pursue the intellectual property rights to their trade names, logo and software around the world. Next they intend to file a lawsuit in the Munich courts over the sale of Draftboard software, which Ashlar alleges is a direct derivative of their Vellum software and is being sold by POSH without a license. 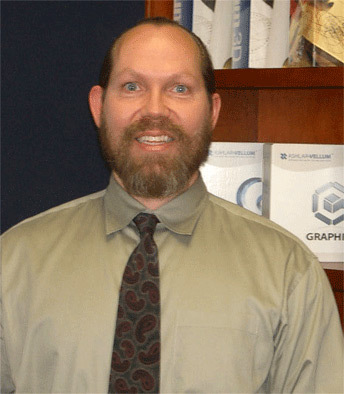 As Vice President of Software Development at Ashlar-Vellum, Griffin is responsible for improving core functionality and features for all future Ashlar-Vellum products, including the 3D solid and surface modeling programs, Cobalt™, Xenon™, Argon™, and the 2D/3D precision drafting program, Graphite™. In addition to their U.S. development team, Griffin is also responsible to oversee the development effort in Ashlar-Vellum’s office in Kiev, Ukraine. Griffin previously architected, designed and implemented various human interface devices for Ashlar products. He has many years of experience leading top-performing teams in telecommunications, general research and development, and semiconductors. Prior to joining Ashlar-Vellum, Griffin worked for, among others, National Semiconductor, Tivoli Systems, and the Federal Aviation Administration. May 3, 2005, Austin, TX. Ashlar-Vellum today announced the release of a Graphite plug-in for Spotlight concurrent with Apple’s Mac OS X Tiger on April 29th, 2005. This stand-alone plug-in allows Tiger’s Spotlight feature to instantly index Graphite files and extract metadata information. According to Apple, OS X Tiger’s Spotlight feature blazes through files and applications, offering results as soon as the first letter is typed. The Graphite plug-in allows Spotlight to index the content of Graphite files transparently from inside, not just the file name. It extracts all the text in a Graphite file and places it in a block of searchable text, speeding file location. January 18, 2005, Austin, TX. Austin-based software developer confirms their technology’s significant role in the design of SpaceShipOne. Ashlar-Vellum congratulates Burt Rutan and his team at Scaled Composites on their second successful private manned flight into space on October 4, 2004 and ultimately winning the Ansari-X Prize of ten million dollars. Today, Ashlar-Vellum continues to develop 2D and 3D software products for designers who demand the freedom to concentrate on the creative process, not on the tools. Ashlar-Vellum’s latest products harness the potential of advanced surfaces and solids with an integrated, user-friendly design environment - letting conceptual designers create 3D models of complex, freeform designs on the Mac or PC desktop. Other patents awarded to Ashlar-Vellum have included innovations in the extrapolation of behavioral constraints in a computer-implemented graphics system, determining and displaying geometric relationships between objects, visualization techniques for constructive systems, and affinitive placement by proximity. December 13, 2004, Austin, TX. The defining characteristic of TSS Technologies is diversity. Diversity of products they manufacture as well the diversity of clients they supply. Since 1948, TSS has grown from a machine shop to a full service manufacturing company capable of fabricating individual parts as well as filling high volume orders. As their client base has grown so has the size of the company. Listed as one of the fifty fastest growing businesses in Cincinnati, they have expanded their manufacturing facility to 400,000 square feet and hired 300 additional team members. For eight years they have seen ten percent annual growth and the diversification of their client base to include medical, aerospace, automotive, consumer products, and packaging companies from around the world. A key element to their success is the ability to consult with their clients during the initial design stage of a product. One of the tools they use to accomplish this is Argon, the Ashlar-Vellum Inc. solid modeling program. Jason Pippenger, Mfg. Engineer Manager for Plant 1 at TSS, said that “Argon is our software of choice for 2D & 3D CAD, we don’t have to labor over drawings anymore and there is very little training required before our new team members are productive on the program. It is amazing how quickly people grow and learn with Ashlar.” TSS has also found that the extensive translation capabilities of Ashlar-Vellum enable them to work with files that come from many different sources. The most useful for them are IGES and Parasolid. In an industry where hitting your delivery time is crucial, they have streamlined their process with Argon. Recently, TSS Packaging/Regal North America was established as a direct result of a partnership with Regal Packaging from the UK. This division offers a complete system for filling and sealing preformed containers for foods, pharmaceuticals and sheets. As a single source supplier, TSS can supply filling and sealing equipment while integrating manufacturing systems throughout the entire plant. Ever mindful of quick-changing markets, and the increasing demands on customers’ production schedules, Regal North America has designed a range of filling systems to handle a diverse range of products. Ashlar-Vellum is proud to be a part of TSS Technologies success and look forward to working with them in the future. December 12, 2004, Austin, TX. Andy Marshall of THD Electronics has been designing and building high quality guitar amplifiers for over 19 years. The THD line of amplifiers have always featured robust design and construction with an unusual amount of flexibility for the guitarist. Andy’s focus on simplicity has led THD to an award-winning level of flexibility that no other manufacturer can reproduce. “We hear everyday from guitarists who have purchased 3- and 4- channel guitar amplifiers, only to discover that, aside from varying gain levels, the channels all sound and, equally important, feel more or less the same…” Providing a distinctive sound for their customers as well as an uncommon ‘ease of use’ is something Andy has achieved through years of experience in the music industry, now he has turned to Ashlar-Vellum to provide him with the same ease of use for his current design needs. June 21, 2004, Austin, TX. Ashlar-Vellum today congratulates Burt Rutan and his team at Scaled Composites for the successful launch and completion of the world’s first private space mission. Ashlar is proud to confirm the use of Ashlar-Vellum Cobalt software for the design of this revolutionary spacecraft. Rutan and the team at Scaled Composites successfully launched and completed a mission that brings them one step closer to securing the coveted Ansari X Prize designed to foster private entry into space. Today SpaceShipOne attained the required altitude of 62.5 miles into suborbital space and returned safely to Earth, putting Scaled Composites into a confident lead among 27 contenders. Next, Rutan and the Scaled team will make a formal bid for the prize by launching the spacecraft with three astronauts aboard (or one astronaut and the equivalent weight of two more) to the suborbital altitude, bringing it safely to Earth, and then repeating the feat within two weeks using the same craft. Besides collecting the $10,000,000 X Prize, the winning team of this final leg will make history, demonstrating that civilian space travel is possible in the near future, funded not by the world’s most powerful governments, but by independent entrepreneurs. Rutan has used Vellum products for a decade. The Scaled Composite designers today confirmed that they designed the majority of SpaceShipOne and its companion aircraft, White Knight, in Cobalt.